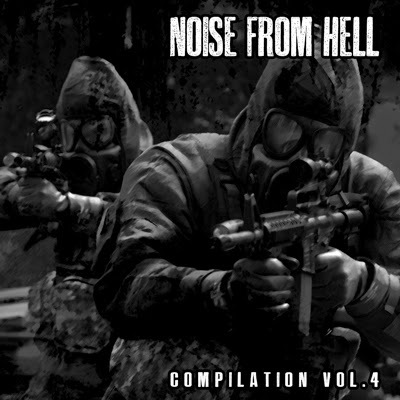 NOISE FROM HELL COMPILATION VOL.4 featuring ANTI-DIKTATUR (Colombia), ARMADOS (Malaysia), CONTUSIÖN (Colombia), DEADTRACK (Brazil), E330 (Slovakia), ENDORPHINS LOST (USA), GROTESCO (Brazil), GUIGUISUISUI (China), HERIDA PROFUNDA (Poland), KONTATTO (Italy), MASSAKRO (Mexico), NAPALM RAID (Canada), NITROCHARGE (Ecuador), PROLAPSO (Colombia), RUINAS (Argentina), SAKATA (Indonesia), SUFFER THE PAIN (Sweden), WARKRUST (Brazil) and WELK (Germany). Thanks for incluiding Ruinas a great argentinian band! Great comp!